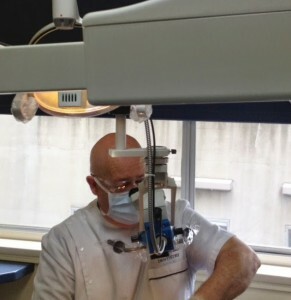 At Dentist on Collins using cutting edge technology is central to our practice philosophy. All new treatment options that become available in dentistry are evaluated for their possible benefits. They are incorporated into our dental practice only if they provide a real benefit to the patient. In the last couple of decades operating microscopes have become available for use in dentistry. They have already proved invaluable in microsurgery and most people are aware of the ability to reattach limbs and fingers in the medical area. 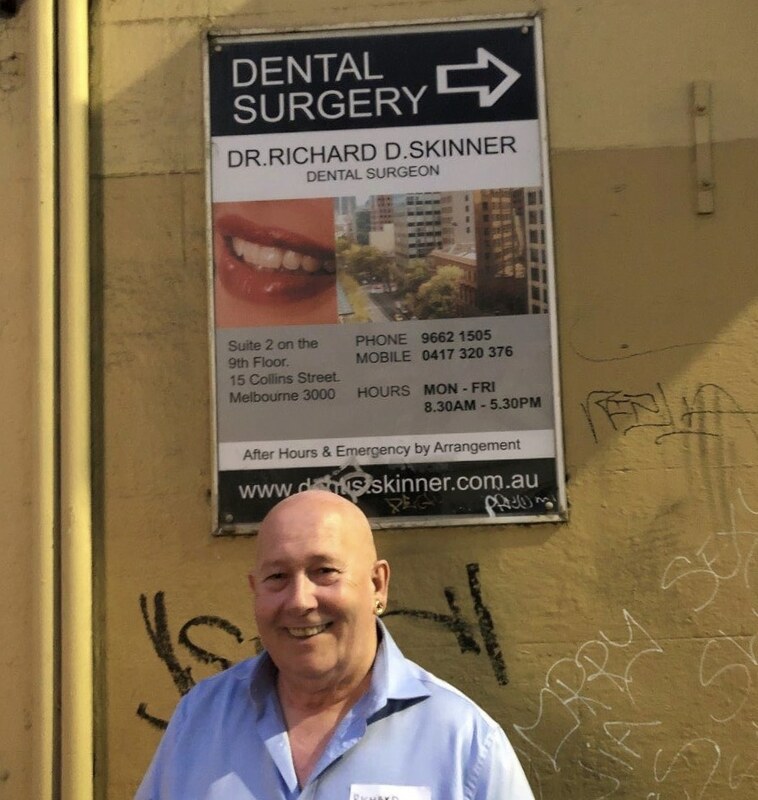 Richard is one of the few general dentists in Melbourne using a microscope routinely in their practices. The benefits of using a microscope in dentistry are the range of magnifications that are possible. This enables the dentist to locate trouble areas before they are apparent to the naked eye. The camera incorporated in the microscope allows the patient to see on a television screen the areas requiring treatment. Furthermore, images taken are saved as part of the patient’s permanent dental records. The working position with the microscope is more comfortable for the dentist, which relates to less fatigue, a reduction in back problems and less stress for the dentist. In every health setting Hand Hygiene is essential. To ensure that every staff member at Dentist on Collins is adhering to it properly, part of our induction program includes the online learning package in the Hand Hygiene Australia website . Dr. Richard Skinner graduated from the University of Otago in 1972. Otago University has an internationally renowned reputation for excellence in teaching and research. Richard has a keen interest and practical knowledge of fitting and turning and welding. Cars have always been a passion of his as is photography. He loves traveling and visiting wineries, galleries and places of natural beauty. Richard knew he wanted to be a dentist from the young age of 11. His paternal grandfather and uncle were dentists. In fact, his uncle was both a doctor and a dentist, following a tradition that started in Somerset England in the late 1600’s. The first known Dr Skinner from Richard’s line was Johannes Skinner “Medicus” who died in 1712. Johannes was buried in the Holy Trinity Church in Ash Priors. A beautiful picturesque village and parish in Somerset. From that time there have been doctors and dentists every generation with some notable ones along the way. Richard’s Great Great Great Grandfather was mentioned in Jane Austin’s novel “Northanger Abby” chapter 2 and his Great Grandfather’s brother assembled a series of lectures on Midwifery and Early Child Development which was published in 1832 after he returned to England from India where he was a surgeon with the Bengal Lancers.